Competitors are not only the companies that we have mixed feelings of hatred and admiration for. They are a source of extremely valuable information. Ideally, it's useful to know everything about your competitor's strategies, successes, and weak points. But the only thing immediately available is their product. And we (as business owners and marketers ourselves) know all too well that an excellent product is not enough. So what do we do to find out the rest of the story? We spy, and we use the almighty Internet for that (no, you don't just google the competitor's company - that's weak). Read the carefully chosen list of best online spying tools based on questions we ask about our competitors - and pick the ones (tools, not competitors) you'd like to try. Question 1: What are your competitors doing on Social Media? Answer: find out using a Social Media Monitoring tool. Awario will tell you everything you need to know about your competitor's SMM strategy. a) Find out all about campaigns that were successful and unsuccessful. Simply set up an alert for any campaign that you like to track online, and see how often it gets mentioned by online users, how many impressions it has gathered, and the comments to it. This will help you refine your own campaign. b) Discover a competitor's most successful Social Media platforms. 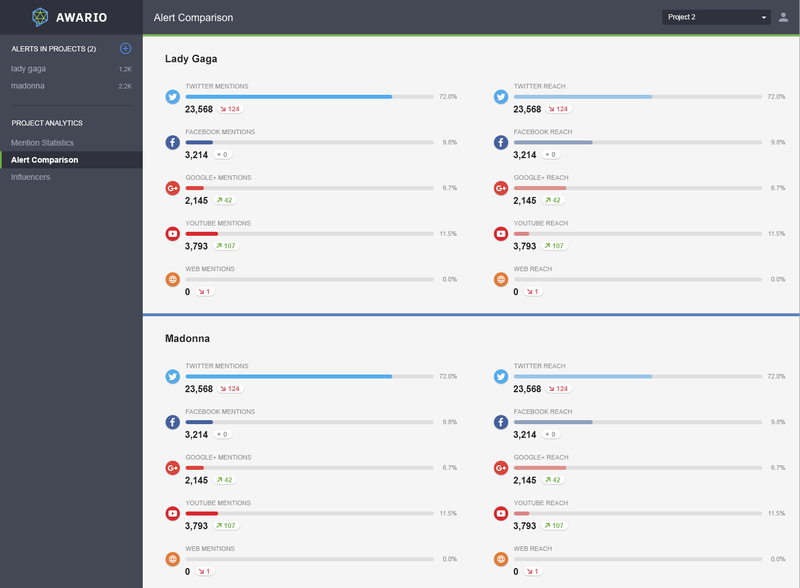 Set up an alert for the competitor and look at which platforms they got the most mentions. Haven't decided what platforms to include in your SMM strategy and don't want to spend your budget on testing? No problem, just choose the one that worked for you competitor. c) Find out weak points of your competitor's products, and their good and bad social media customer service practices. Complaints that go out to your competitors online (as well as praises, let's be fair) will give you ideas for your own business, and customer support is worth looking at to learn what to do (or what not to do) if you face a similar problem. d) For a more comprehensive list of ideas for competition research, look up our post on competitors. Question 2: What are your competitors doing in SEO? Answer: Find out using an SEO tool. SEO PowerSuite is the tool that will tell you everything about your competitor's SEO efforts, including the strong and weak points of their strategies. a) Discover your strongest competitors. Before you say anything, remember that your main business rivals are not necessarily your SEO competitors, as the main business rivals could be targeting other channels than organic search. SEO PowerSuite's Rank Tracker will show you the ones who rank in the first search result pages for your top keywords - these are the ones to compete with. 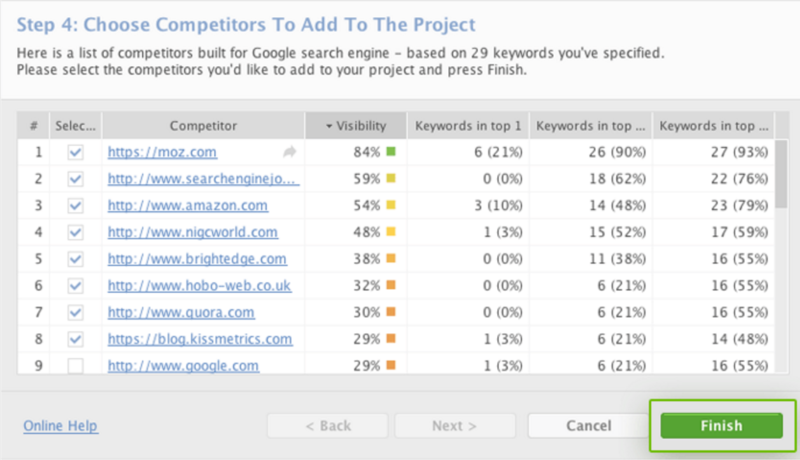 b) Examine competitors' backlinks (use SEO PowerSuite's SEO SpyGlass) . Knowing your competitors' backlinks will show you opportunities within competitors' profiles and develop a link strategy of your own. 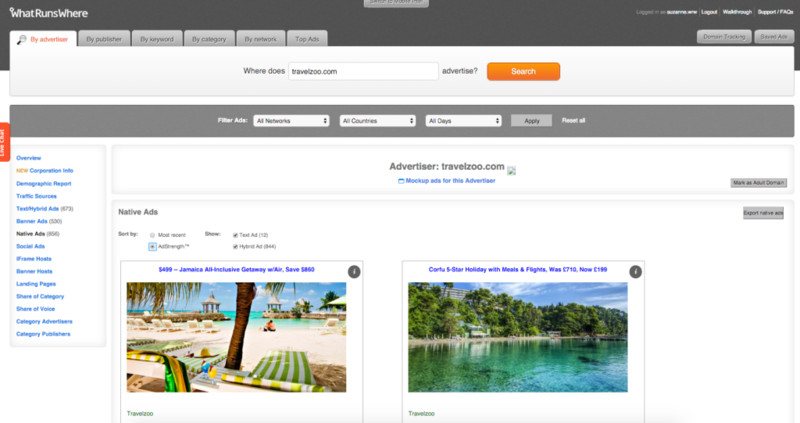 c) Uncover competitors' on-page tactics. SEO PowerSuite's WebSite Auditor shows the on-page strategy of your top SEO rivals. It uncovers their on-page optimization rates and keyword use by page element. What's working for them will likely work for you! Question 3: What paid advertising options do your competitors use? Answer: Find out using an ad tracking tool. iSpionage is the next tool on our list of useful competition research tools. Not only does it have a cool name, but it provides you with a comprehensive overview of what your competitors pay for to get their traffic and conversions. c) View the most effective ad copy of competitors. Another tool to use for discovering all about your competitors' ads is WhatRunsWhere - a tool created precisely for monitoring ads. WhatRunsWhere supports over 150 thousand unique publishers in 15 different countries and allows you to track a list of your competitors. And find new sources of traffic! The tool helps avoid your competitors' mistakes and make your campaigns as profitable as possible. b) Receive alerts each time a new ad or content is published. Question 4: What do your competitors do for content marketing? Answer: Find out using a content marketing research tool. d) channels that get the most shares. 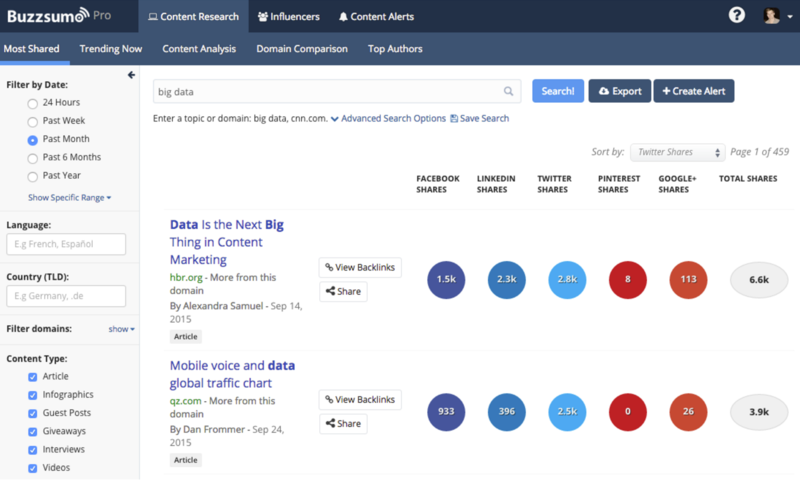 In BuzzSumo Pro you can also set up content alerts for your competitors. Question 5: How much traffic do they get and where do they get it from? Answer: Find out using a web ranking tool. Similarly to BuzzSumo (that every digital marketer has heard of at some point), Alexa isn't a secret spying tool. It's a web traffic tracking software that’s been around for years. It provides all the ranking information you need on both a national and international level. Alexa shows consumer data and lets you view how customers are interacting with your site and your competitors' sites. d) Find out all about your competitors' audience. Alexa gives you access to gender, education, and browsing location. Insight and Advanced Alexa plans also give you access to age, income, parental status, and ethnicity of the audience. That's it, this is our list! Surely, there are many more tools that make competition research a fun and satisfying job. If you have any personal favourites, let me know in the comments!